The following case studies are examples of cases that may be of interest. They are examples of the types of cases Bellenot & Boufford, LLC routinely handles. They are not guarantees about any future case that may be handled by us. All cases are different and need to be evaluated and handled on an individual basis. Construction worker fell through scaffolding resulting in a compound fracture of his ankle requiring multiple surgeries. The case was accepted by the workers’ compensation insurance company and several years of treatment and disability benefits followed. The worker started having difficulty with his back and sought treatment for it. The insurance company denied on the basis that the back problems were not related to the ankle injury. The treating physician causally connected the back pain to the worker’s altered gait and leg length discrepancy which were results of the injury and surgeries. The insurance company’s doctor disagreed and said those conditions were not sever enough to cause the back problems he was experiencing. The worker was sent for a third examination picked by the workers’ compensation commissioner. That physician agreed with the insurance company’s doctor and did not connect the back problem to the work injury. Attorney Kathy Boufford went to trial over the issue, called a Formal Hearing. She prevailed, with the help of live testimony from the treating physician, and got the back treatment paid for by the insurance company. Laborer injured back while working at warehouse. He was not a documented worker and had no proof of employment or income. The employer did not have workers’ compensation insurance as required by law. We proved an employer-employee relationship and a work injury at a hearing and the case was transferred to the State which has a fund for covering uninsured workers. The worker is totally disabled and has been collecting total disability benefits and receiving treatment for years despite several contests from the State. (The employer has been reimbursing the State, with penalties). Represented owner of trucking company who did not have workers’ compensation insurance in place for drivers, thinking they were independent contractors. After serious accident and investigation, the State thought differently and significant automatic penalties were put into effect. 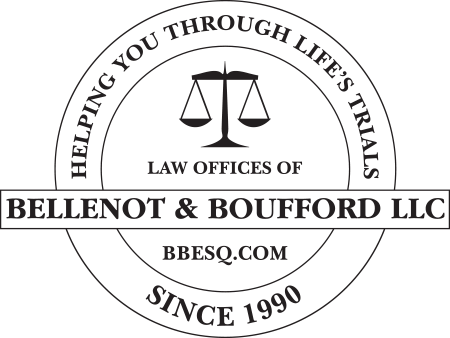 Bellenot & Boufford, LLC worked with the employer and got them into compliance with the workers’ compensation laws of the State. They attended a hearing before the workers’ compensation commission and were able to get the penalties reduced. Nurse seriously injured back while lifting a patient to prevent a fall. Suffered a 28% loss of the back. Developed major depression due to the injury and resulting effects on his life. After many years of treatment, several orthopedic doctors were of the opinion that he had the capacity to return to work doing very light duties based on his back injury. However, his psychiatrist deemed him totally incapacitated from work due to his depression. After undergoing several evaluations with neuropsychologists and another psychiatrist, the medical opinion was divided on the issue of work capacity. The insurance company gave notice of discontinuance of benefits based on the opinions that supported some work capacity and Attorney Kathy Boufford contested the notice and went to trial on the issue. After several days of trial which included the testimony of the injured worker and his wife and the scrutinizing of all the medical opinions, the Commissioner found the worker totally disabled based on his depression. Correctional guard injured while rescuing inmate from self-injury. The insurance carrier (State) disputed that the worker was injured while performing a “special hazard” of his job which would have entitled him to full pay benefits instead of the normal reduced workers’ compensation benefits. This area of the law was not well settled and very fact specific and an agreement with the State could not be reached. We went to trial and the Commissioner found that the injury was the result of the correctional officer performing a “special hazard” of his job. The State appealed the matter to the Workers’ Compensation Review Board and Attorney Kathy Boufford prepared a brief and gave argument before the board at the hearing. The Board upheld the Commissioner’s finding and the worker received full back pay for all time lost due to his injury. Claimant injured at work and receiving out of work benefits while treating. Claimant eventually returned to work part time and was eligible for differential benefits. The office of Bellenot & Boufford, LLC processed her paycheck and monitored her benefits on a weekly basis. The differential checks were often delayed and in the incorrect amount. It would take much work from Bellenot & Boufford, LLC to correct the mistakes and obtain the payments due our client. At one point, checks due exceeded $1000.00. Following many requests, the firm requested a hearing so our client could be paid. We also requested sanctions and attorney’s fees. Shortly thereafter a check was sent with incorrect dates and for much lower than expected. No explanation was provided despite repeated requests. At the hearing, Attorney Boufford came prepared with a summary of our calculations and our efforts to get our client her benefits. Copies of all letters and emails were provided to the Commissioner. The insurance company’s representative came with no understanding of the history of the claim, no understanding of their client’s calculations and a pay history which they could not interpret. Attorney Boufford reviewed the pay history and realized there had been some checks sent directly to the Claimant instead of her office as should have been. As such, those checks were not included in her firm’s calculations. In the end, it was determined that the check that was sent just prior to the hearing was for the correct amount. At that point the insurance company’s representative tried to blame Attorney Boufford for having come to the hearing unnecessarily and used that as a defense against the claims of attorney’s fees and sanctions. The Commissioner said she sympathized with my circumstance but is always reluctant to issue attorney’s fees and sanctions. Attorney Boufford reminded her that the Claimant’s benefits had been delayed, that the insurance company had issued checks to the Claimant without notice to her attorney, that the only reason the check to bring Claimant current was issued was because a hearing had been requested, that the insurance company ignored multiple requests to explain the amount it sent and did not produce the pay history until the hearing. Only after this did the Commissioner find that the lack of communication, in addition to the delay, warranted the sanctions and fees. They were ordered to pay $250.00 to the Claimant and $500.00 to Bellenot & Boufford which they did. Unwed father with prior substance abuse problems wants to establish relationship and obtain contact with child, 5 years old. Mother very resistant to contact and denied all efforts to reunite. Prior to hiring Bellenot & Boufford, LLC, father twice filed motions for visitation but did not complete court process due to actions of mother and his own issues. Attorney Kathy Boufford reviewed history and developed a plan for father to follow in order to prove commitment and regain trust. She would not take on the representation unless he promised to follow the plan and stay the course. After a full hearing which included negative drug tests and character witness testimony, the judge ordered a limited, temporary parenting plan. Over time, the parenting plan was extended several times by the judge until it afforded reasonable and liberal contact between father and child. This required persistence and on-going guidance and encouragement by Attorney Boufford. Her client now enjoys a wonderful relationship with his son and the son enjoys not only his father, but his younger sister who was born at the start of the action. Client divorced and was paying significant monthly alimony to ex-wife. The divorce decree specified that alimony would terminate if the ex-wife cohabitated with an unrelated male. Client hired Bellenot & Boufford, LLC because he thought his ex-wife was cohabitating and wanted to stop paying alimony. After obtaining evidence utilizing a private investigator, a motion to modify was filed. Depositions of the ex-wife and the “unrelated male” were taken where additional evidence was obtained. The defense to modification of alimony was that the man didn’t really live there, just spent a lot of time there. After a full trial, the judge found that the ex-wife was cohabitating and ordered the termination of the alimony and that the ex-wife reimburse the client for all attorney’s fees and costs in pursuing the modification. Wife filed for divorce after being married 30 years. Born out of the country and spoke very little English at time of marriage. Raised children while husband worked in academics. Worked as a babysitter part-time after children grown. Claimed long history of mental abuse and control by husband. Very afraid to divorce but couldn’t take it any longer. Children corroborated story and supported mother’s decision. Husband was retired and collecting a pension. Other significant weekly income derived from dividends of investments Husband inherited from his parents during the marriage. Wife wanted to remain in the home but several court mediators and a financial advisor speculated that she would never be able to afford the house. However, it was pointed out by Bellenot & Boufford, LLC that very little mortgage remained on the house and that there would be more than enough assets from the divorce to pay off the mortgage and significantly reduce the monthly costs of staying in the home. Husband wanted to pay very little alimony, sell the house (again saying it was too expensive to keep), keep his pension and to limit the value of the investments for division between the parties to only the growth from the time of the inheritance to the divorce date. Mediators who heard the facts prior to trial suggested that Wife would only get a judge to order a small share of the funds inherited by the Husband. After a full trial, the judge found the Husband at fault for the marital breakdown, ordered the house to be an asset of the Wife, the Wife to be entitled to half the monthly pension in lieu of alimony, and the Wife to be entitled to half the full value of the inherited investments. Client is now very happy, able to support herself and at peace in her home. Represented wife in divorce. Married approximately 30 years. Husband and wife both worked and earned similar amounts for many years. Shortly before divorce, the husband was laid off with severance. Husband claimed he was looking for work but unable to obtain employment and sought weekly alimony. Wife claimed that husband was not looking for work and that he planned on being supported by her. 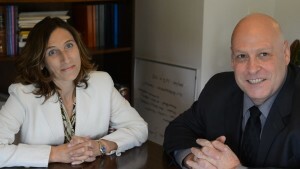 Attorney Boufford conducted thorough discovery seeking proof – or lack of – of a good faith employment search by the husband. This included depositions, obtaining applications of employment, and contacting numerous witnesses and potential employers provided by the husband. After a full trial, the judge did not award alimony and did not offset property distribution to make up for it. The firm represented two women whose ex-husbands were trying to reduce or eliminate their child support and alimony obligations on the basis of lost employment. Extensive discovery resulted in information used at the hearings in support of our argument that such reduction should be denied. In one case, it was discovered that the obligor was not a victim of a lay-off as he had claimed. Instead, he voluntarily left his employ to start his own business. Bellenot & Boufford, LLC successfully argued that the voluntary reduction in income to pursue a dream should not result in negative financial consequences for the child. Discovery included taking his deposition and obtaining Facebook posts and emails among other things. In the other case, extensive financial discovery and analysis revealed that the obligor did not just sell his business and become “unemployed” as alleged. He in fact continued to receive a substantial stream of income from the business. The firm consulted with a grandfather regarding a difficult visitation matter involving his grandchild, his son and the mother. The parents of the child shared custody but resided apart. The child and son lived with the grandfather but for all practical purposes, the grandfather was the primary caregiver. An order of visitation between mother and child had already been ordered by the court. The grandfather was resistant to the visitation due to a long separation between the child and the mother and other extenuating circumstances. He wanted to fight the visitation order. After a thorough meeting, the grandfather was advised to have his son comply with the order of the court. Although trying to modify the visitation was possible, it was determined by the firm that success was not probable and that not complying and fighting it was likely to lead to a worse situation. Suggestions were made to keep good notes of the visitations and the effect on the child for later, possible use. Many months later, the grandfather was seen in court. His son and the mother were before the judge and it became apparent that the visitation had not occurred. After back and forth testimony the grandfather was brought into the conversation and the judge noted he was present in he courtroom. He was asked to address the court and testify as to his involvement. He testified to the same concerns he discussed with the firm. In the end, the court found he willingly and knowingly took actions contrary to the court’s orders and had no legal right to interfere with the visitation. The son was then threatened with the loss of his legal custody rights if he was going to continue to allow his father to interfere. He quickly stated he would comply with the order. Parties are, of course, free to take an attorney’s advice or not. Parties married for 25 years. Husband self-employed. Wife stay at home mom for over 20 years with minimal part-time work experience. Wife suffered from multiple health issues. No agreement on alimony could be reached. Husband claimed business was doing poorly. Wife could not afford an expert to evaluate the business. Extensive evidence was entered at trial regarding Husband’s business, including pages from his website and other on-line sites obtained by Bellenot & Boufford, LLC. Judge ordered more alimony than was requested. Included in the judge’s findings was the fact that Husband had a thriving business as evidenced by the testimonials on his website and other on-line sources. Parties married 15 years. Husband recently laid off and working as independent contractor. Due to his age, he was also collecting social security benefits. Wife on Social Security Disability and primary caregiver for their one minor child. Attorney for the Husband kept saying, “this is not an alimony case.” We did not agree and thought significant alimony was warranted given the circumstances. When further negotiations failed, we went through a court mandated pretrial settlement process called, “Special Masters.” This is where both sides get to informally present their case regarding disputed issues to two volunteer attorneys who review financial documents, listen to the parties’ attorneys and then discuss the matter and make a recommendation for settlement. The volunteer attorneys, always one male and one female, have many years of experience. They are also unbiased regarding the matters they hear as they do not represent either party. Normally, attorneys representing the parties give their recommendation a lot of weight. In this instance, the recommendation was for only a nominal amount of alimony for a very short period of time. No sufficient reason was ever provided for the lack of alimony. Both the attorney and the Special Masters would only say that large alimony orders were not being awarded in that court and that lifetime alimony was not being awarded either. Neither I nor my client could accept it. Right before trial, the Husband offered $50.00 per week more than was recommended. We went to trial over alimony and property settlement. After hearing all of the evidence (the same facts that were known and discussed in both the settlement negotiations with the Husband’s attorney and with the Special Masters) the Court awarded lifetime alimony in an amount that was $400.00 more per week than offered. Child support in a higher amount than the guidelines suggest was also ordered. Last, the property settlement order was fair and the Wife was pleased with the decision. Husband and Wife divorce and share custody of their two boys. Mother continually violates the parenting plan but each time Father tries to get help from the court, Mother “lawyers up” with the help of her wealthy parents and makes it too expensive for Father to seek resolution. He ends up giving up and letting the contempts go. He is too nervous to go to court on his own. He complains about the situation to another attorney who directs him to Attorney Kathy Boufford to see if there is something she can suggest. They talk and develop a plan of action. Attorney Boufford enters an Appearance and files a motion for contempt against the Mother. Mother, true to form, hires two attorneys and gives them a retainer of over $30,000.00 to represent her. Mother’s attorneys proceed to file five motions against Father. They then get the court to appoint a representative for the children at additional cost to the parties. After a few failed attempts to negotiate the contempt issues with Mother’s attorneys, Father discharges Attorney Boufford and files an Appearance to represent himself. He then re-hires Attorney Boufford only for the original contempt motion. This allows Attorney Boufford to only focus, work and charge Father for the original contempt motion. Each time Mother’s attorneys send correspondence or try to talk with Attorney Boufford about all the other issues they filed, Attorney Boufford refuses to engage because she does not represent Father on those issues. They attempt to block Father from proceeding with his motion by saying their motions need to be heard too. After a meeting with the judge, it is decided by the judge that their motions can go forward too – after Father’s original motion – at which time Attorney Boufford will be dismissed and they can proceed with Father alone. Once it became clear that Father was going to be able to proceed to hearing on his motion and that Mother was not able to “run up the bill” and get rid of him as in the past, Mother settled on the contempt motion which included admitting wrongdoing on the record and withdrew her motions shortly thereafter. Father was very pleased. Father still has problems with Mother’s actions, but things have gotten significantly better. Parties were divorced and have one child. Marital home was to be listed for sale and sold so proceeds could be divided. Mother and child are living in home until the sale. Father reached out to Mother shortly before appointed time to list the property and suggested a real estate agent. Mother had already been in contact with another agent. The agents agreed to work together to list the house even though they were from different companies. Father’s agency drafted the listing contract. Mother signed, Father did not. Father suggested another agent to list the house saying this agent would work for less commission and would charge nothing if either of the parties bought the house. The time period for the parties to buy the house had passed, the new agent was a childhood friend of the Father and he worked over thirty minutes away from the marital home. For all of these reasons, Mother refused to agree to change the agent. Father filed a motion for contempt for failing to list the house for sale, among other things. Mother had kept all email and text communication with Father and with all of the prospective agents. She also had a copy of the listing agreement that she signed. Attorney Boufford was hired one day before the pretrial. She was able to review and organize all the information according to topic and represented Mother before the judge the following day. Attorney for the Father raised many issues during the pretrial that were not part of the motion. Attorney Boufford objected to these issues being raised. The judge agreed with Attorney Boufford and strongly suggested Father not proceed with his motion and instead focus on listing the property. It was suggested that Father either go with the dual agency arrangement or have the two agents pick another agent for the parties to use. Father would not agree. A week later the parties appeared in court for a hearing on Father’s motion. Attorney Boufford objected to all issues that were not part of the original motion and these issues were not ruled on by the judge. The judge did not find Mother in contempt for failing to list the home. Below is a success story I would like to share. Please note that this success story is not common. It is the exceptions, BUT there is a trend in this direction that I hope will continue to grow. What is more common today is the willingness of more and more lenders to work with financially troubled homeowners in an effort to reduce their monthly payments to a level that they can afford and by doing so, keep them in their home and out of foreclosure. However, in all cases, including these, persistence and patience is required in heavy doses. It is not as simple as asking the bank to reduce your payments and they reply, “Oh sure, no problem”. In most cases there are endless communications with the lender’s collection and / or loan mitigation departments. There are many disappointing responses, including eventually being served with foreclosure papers. This is where the State Of Connecticut’s foresight has come to the rescue of so many. Connecticut was swift and first to allow homeowners the opportunity to mediate their loan terms. This is not a guarantee that all will succeed, but more and more are. One Saturday afternoon in July John was at a picnic hosted by one of his loyal clients. He brought his friend and associate, James. John and James enjoyed the day, ate well and had a couple of beers. As dusk turned to dark, at least 2 hours after their last beer, John and James set out for home. John was driving on a long, narrow, two lane highway in a very rural setting. He noticed that a car had been following him close for some time. Then the lights and siren lite up the night and all vehicles pulled over. Mind you, they are located on a narrow, rough and rocky rural road, with no shoulder and cars driving by. It was dark out and the flashing police lights combined with headlights of oncoming cars was blinding. The officer assessed that John failed all three tests, handcuffed and placed him in the back of his patrol car. John insists that he passed the tests. John agreed to submit to the breathalyzer chemical test and the results indicated a BAC (Blood Alcohol Content) of 0.04. That is only one half the legal limit. Despite the low BAC, the police booked John and completed the arrest.